The mission of this magazine is to be the leading international authority on luxury lifestyles. 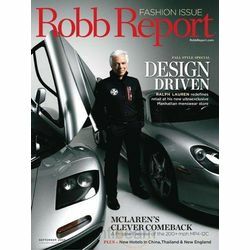 In pursuit of this mission, the magazine's editors and writers seek out and report on a broad range of high-end, luxury lifestyle subjects. Its articles cover exotic automobiles, travel, investment, business, boating and real estate among other aspects of an upscale lifestyle.